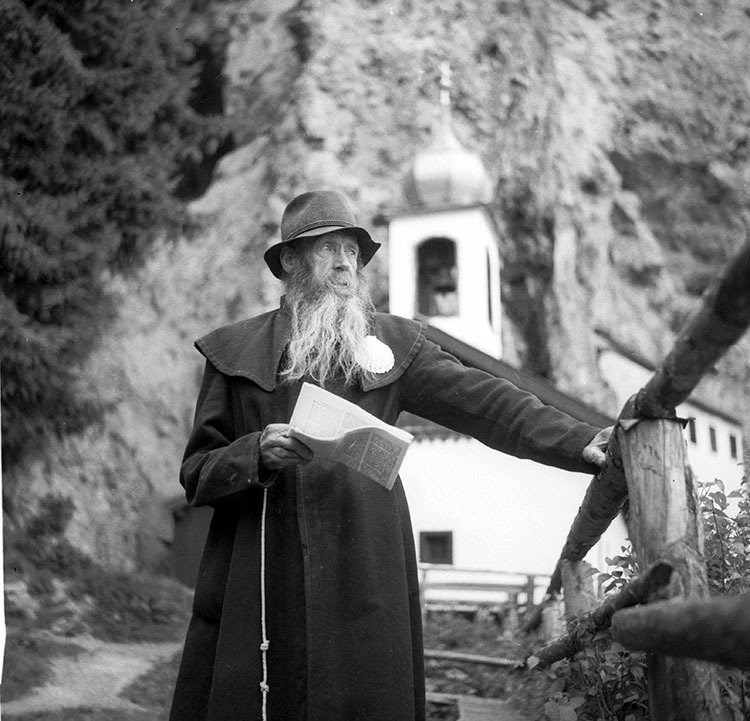 Gottfried Scholenateuer, hermit of Saalfelden, 1955. © Hans Enzwieser/Getty Images. The small Austrian town of Saalfelden is recruiting, but the advert on the town’s website is not for a town clerk or street cleaner. They are looking for a hermit. The 350-year-old hermitage built into the cliffside above the town is one of the last still in use in Europe. It has no electricity or running water. That a 21st-century central European town should be seeking someone to take up such a position may be surprising, but this is a very modern hermit. The job description asks that the candidates should have ‘soft skills’: talkative and personable, they must be ready to deal with the visitors who ‘come to the hermit and tell him what moves and oppresses them’. However, this is not necessarily a jarring attempt to modernise the ancient role of the recluse. The Saalfelden hermit may have more in common with his medieval forbears than first appears. 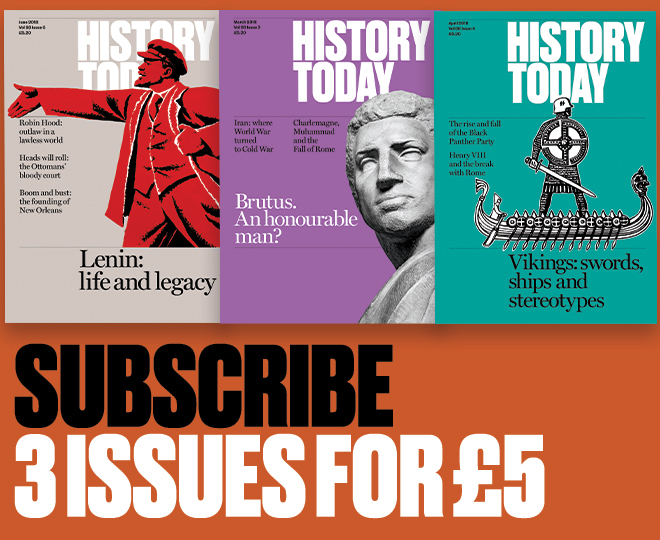 The qualifications for these figures who stood outside mainstream society were little different historically and their advisory role has been prized for centuries. Hermits, anchorites and anchoresses (men or women who lived enclosed in a small cell in a church) were holy figures with looser ties to ecclesiastical authorities and more autonomy than those who lived in formal religious communities. 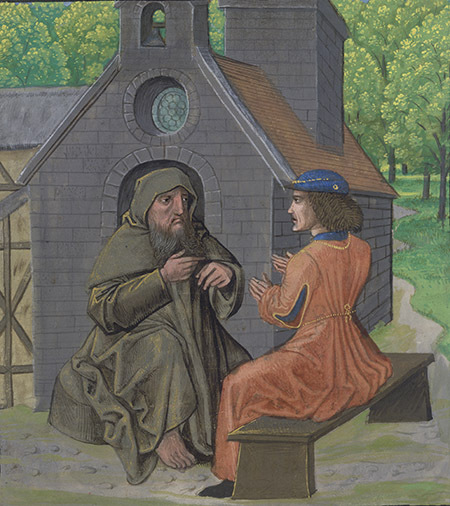 Hermits could move from place to place and were often given jobs overseeing bridges, gates and ferry terminals, but the Rule of St Benedict still held: their nature was one of isolation and ‘the solitary combat of the desert’. Guides written for them cautioned against any social contact. Aelred, Abbot of Rievaulx, wrote in his letter of advice to his anchoress sister in around 1160, De Institutione Inclusarum, that she should live ‘as a body dead to this world … buried in a cave with Christ’, consistent with the fact that the deathbed office of Extreme Unction was often performed at the ceremony of enclosure. While anchoresses’ cells would commonly have two small windows, one onto the church and one onto the street, the early 13th-century guide, the Ancrene Wisse, advised ‘love your windows as little as ever you can’, and 200 years later the Speculum Inclusorum (‘A Mirror for Recluses’) warned of the dangers of unbridled conversation with visitors. There was, however, a considerable gulf between theory and practice. While the degree of social contact medieval recluses had differed, there is evidence to suggest that they were the agony aunts of their day, often flying in the face of the recommendations of religious authorities. That many of these supposed recluses were in fact living in the heart of Europe’s bustling medieval cities begins to give us a clue that they fulfilled a social function that the official guides barely hint at. The scholar of medieval devotional literature, Michelle M. Sauer, has said that while ‘The anchorite, in theory, was utterly alone in the cell … the reality of this lifestyle was quite different’ and ‘anchoresses were sought out by devout Christians and courted by towns, becoming a visible sign of holiness and protection’. No one typifies this role more than Julian of Norwich, who was anchoress of the church of Saint Julian the Hospitaller from around 1390 and author of the first book in English by a woman: The Shewings or Revelations of Divine Love. The hermit instructing the knight from ‘Chemin de Valliance and works in French verse and prose’, c.1475. © British Library Board. Julian of Norwich was surrounded by the traffic of trade in one of the most important cities of late medieval England. She was attached to a church dedicated to the patron saint of boatmen and travellers, close to the River Wensum and within earshot of the quay where wool and cloth were exported to continental Europe and artworks and new forms of religious devotion came in from the Low Countries. Scholars have suggested that this location influenced the imagery of her visions: Christ’s body at the Crucifixion was ‘hung in the air, as a cloth is hung to dry’, just as the local weavers dried their cloth in the churchyard of St Julian’s, having washed it in the river, while the bleeding beneath the crown of thorns was compared to ‘herring scales as it spread on the forehead’, like those of fish landed nearby. Such cells were often located in places of thoroughfare and many in Norwich sought the counsel of these accessible ‘solitaries’. One in five testators of surviving wills in Norwich between 1370 and 1532 left bequests to local recluses, of whom there was a peak of around ten in Julian’s lifetime. Such recluses were of most importance to the marginalised, women in particular. ‘Holy Writ says that the soul of a righteous man is the seat of God, and so I trust, sister, that you are’ and ‘do not fear the talk of the world, for the more contempt, shame and reproof that you have in this world, the more is your merit in the sight of God’. This must have been a considerable relief to a woman who was accused of heresy at a time when the Lollards were being burnt in England. Although she later reported that an anchoress in York refused to see her, having heard of her reputation, Margery adds that her confessor, a Dominican anchorite in King’s Lynn, was also a believer in the authenticity of her experiences. The anchorite offered the kind of no strings attached advice that the Saalfelden hermit will be looked to to dispense. While the former post-holder at Saalfelden, an ex-psychotherapist, reported that some visitors were disappointed because he lacked a cowl or a beard, his medieval precursors served a need that continues today. Modern counselling is built on the psychologist Carl Rogers’ principle of ‘unconditional positive regard’ – complete acceptance of and support for the client. Julian of Norwich seems to have displayed just that in her meeting with Margery Kempe, which constituted a kind of talking therapy. That hermits are still needed today suggests a continuing search for people who can guide us impartially. Those divorced from our own experiences of life may be most able to throw those experiences into relief. Sophia L. Deboick is a historian of religion and popular culture and a freelance writer.